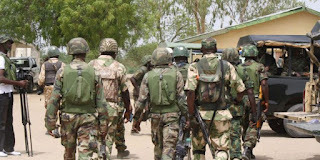 The Nigerian Army has denied the alleged killing and abduction of members of the Indigenous People of Biafra (IPOB) in Owerri, Imo State, and Aba, Abia State. IPOB had alleged that soldiers in the ongoing Operation Python Dance 3 in the areas killed some of its members and arrested some others. Deputy director, army public relations, 82 Division, Nigerian Army, Enugu, Col. Sagir Musa, denied the allegation in a statement, saying no IPOB member was manhandled, shot, wounded, abducted or killed by soldiers in the states mentioned or in any other state of the South East geopolitical zone. “As a professional and responsible organisation, the Nigerian Army, under the leadership of Lieutenant General Tukur Yusuf Buratai, has variously and sufficiently (both in deeds and actions) made it clear that it will not encourage or condone any form of professional misconduct, especially human rights abuses. “In the same vein, the Nigerian Army will not ordinarily join words with an illegal organisation, but just to set the record straight against the kind of divisive, selfish and wicked propaganda and misinformation mischievously being perpetrated by the proscribed IPOB. “The army ably represented by the 82 Division in the South East, will continue to protect the lives and properties of all Nigerians in the zone and is determined to ensure peaceful and secure conduct of free, fair and credible 2019 general election. For awareness and further clarification, civilians are not detained in conventional army detention centres, except under exceptional situations such as on charges of terrorism, insurgency or any form of armed insurrection, among others. 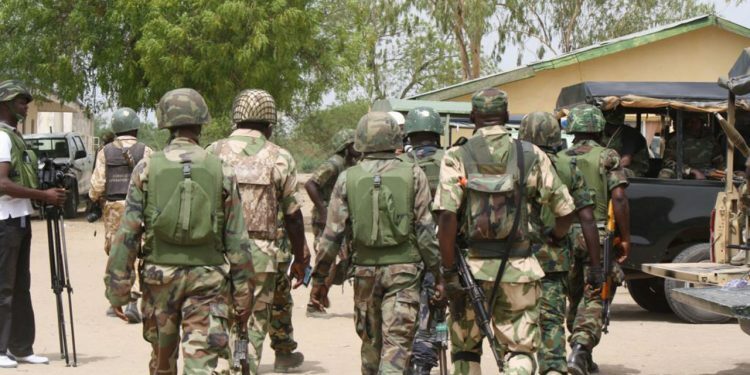 So, anyone arrested by the army during the ongoing Exercise Egwu Eke III has been handed over to the civil police for further necessary action,” Musa said. He urged members of the public to disregard any form of divisive and inciting propaganda, particularly the ones coming from the likes of miscreants and outlawed organisations like IPOB. Meanwhile, IPOB has again raised the alarm over the clampdown on its members by security agents. The group made an appeal to Israel and other world governments to prevail on the Nigeria government to stop killing its members as well as other Biafran agitators who visited Nigeria before Christmas and beyond from different countries. A statement by the media and publicity secretary of IPOB, Emma Powerful, alleged that Biafrans abroad were humiliated and hunted down in their respective families and communities, especially since Nnamdi Kanu, IPOB leader snapped pictures with Israeli national coordinator and other members in Israel, their families were under serious attack by Department of State Service and other security operatives. The pro-Biafra group appealed to Israeli Prime Minister, Benjamin Netanyahu, to intervene and save the lives of Augustine and family, as well as other members in Israel.